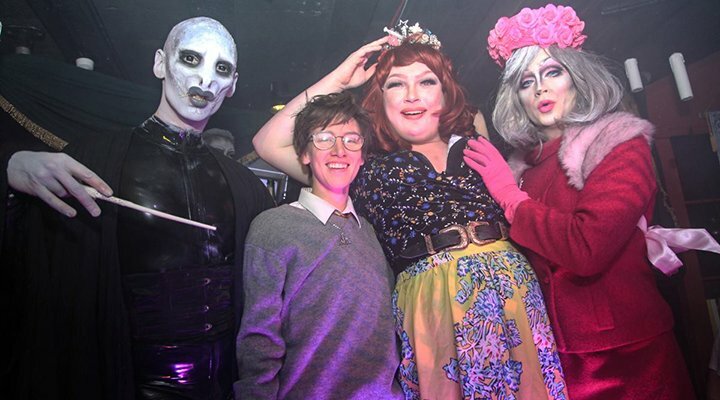 In their hilarious Harry Potter-themed event, Cha Cha Boudoir took on politics, the education system and everyone’s favourite witchy moments! The show opened with Hagrid’s secret exposed. Donna Trump did an hilarious turn as Molly Weasley and took home the Cha Cha crown. Anna Phylactic put Theresa May and Dolores Umbrage in a blender, incorporating splashes of Hocus Pocus and plenty of glamour. Then poor house elf Dobby tried to escape in Monopoly Phonic’s turn. Then the audience experienced a unique take on the Tale of the Three Brothers. Until finally, Harry Potter squared off against Voldemort.